2009 - Motorfist begins with two products. Rekon Jacket and Rekon Bib. The Founders group, as we call them, enjoyed a warranty program like no other... "106 years or 6' under". 2010 - Motorfist experienced a stellar first year with our loyal customers demanding more products. The product line is taken from 2 to 19 products in just one year. Motorfist adopts eVent™, the latest in windproof, waterproof, breathable membranes for use in it's outerwear. 2011 - Clinch Magazine is first published telling the Motorfist story and showing consumers what Motorfist is all about. The product offering is increased to 28 products. 2012 - Addition of the women's Empress line and an increase in presence in the Eastern market. Motorfist enjoys double digit growth showing that it is here to stay. Snow Safety is in our DNA. 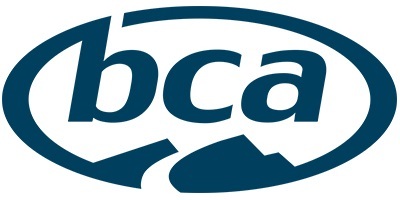 BCA’s mission is to saves lives not just sell product. We want you to stoke the BCA brand for life. Founded in 1982 and headquartered in Richmond, British Columbia, Toyo Tire Canada Inc. is focused on the comprehensive sales, marketing, communications, and customer service for the Toyo Tires® brand in Canada. A wholly-owned subsidiary of Toyo Tire & Rubber Co. Ltd., Toyo Tires distributes a complete line of premium replacement tires for high performance cars, luxury vehicles, light trucks, and SUVs as well as commercial trucks, buses, off-road vehicles, and construction applications. Fuel Off-road manufactures the most advanced off-road wheels, offering the latest in design and engineering innovations on the market. Established in 2009 by MHT Luxury Alloys, one of the most trusted and time-tested names in the business, Fuel Off-road has been capturing the attention of off road enthusiasts with our cutting edge designs, fitments, and technological advancements. We pride ourselves in our ability to provide every off-road enthusiast with the aesthetics and function they desire in a variety of fitments. From stock to lifted, dually to trophy truck, Fuel-Offroad offers the most complete line of wheels on the off-road market today. With our devoted team of designers and engineers pushing the limits every day to bring you the next level in Off-Road development. We strive to provide our customers with the highest quality products with fast and friendly service. For wheels with the most style, function, and innovation, look no further than FUEL Off Road. We have been designing, manufacturing, selling and installing truck decks for over 15 years. We pioneered the all-welded truck deck and our 'Classic' plywood deck was equipped with every innovative and unequaled quality 'firsts'. Over 15 years of servicing this market we listened and observed how our customers used their truck decks, what features they found lacking and how pickup trucks were evolving. Over time it became obvious the all-welded, plywood 'Classic' would not meet the future needs of our customers. After several years of concept testing and design improvements we developed our modular TRUCKBOSS product to meets these needs.